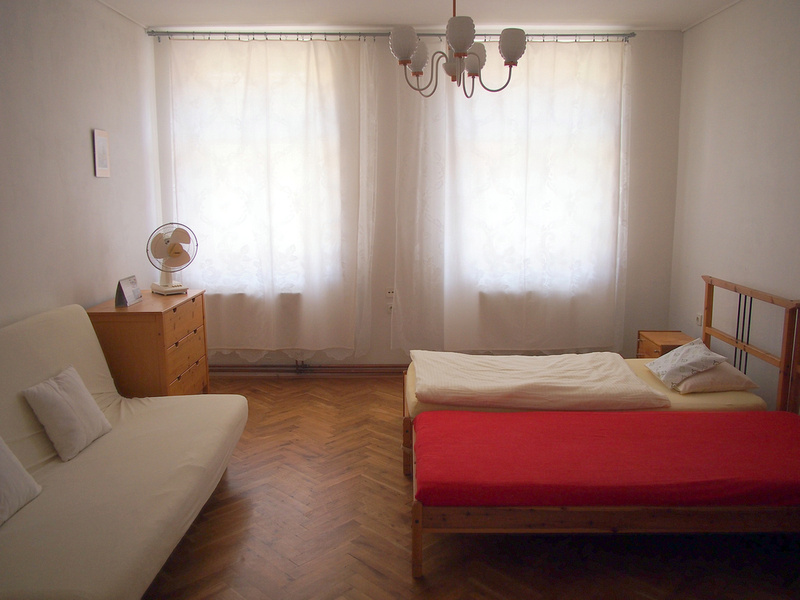 I had a week in Prague and I ended up splitting my time between two apartments, mainly because I had credits in my Airbnb and Wimdu accounts to use. 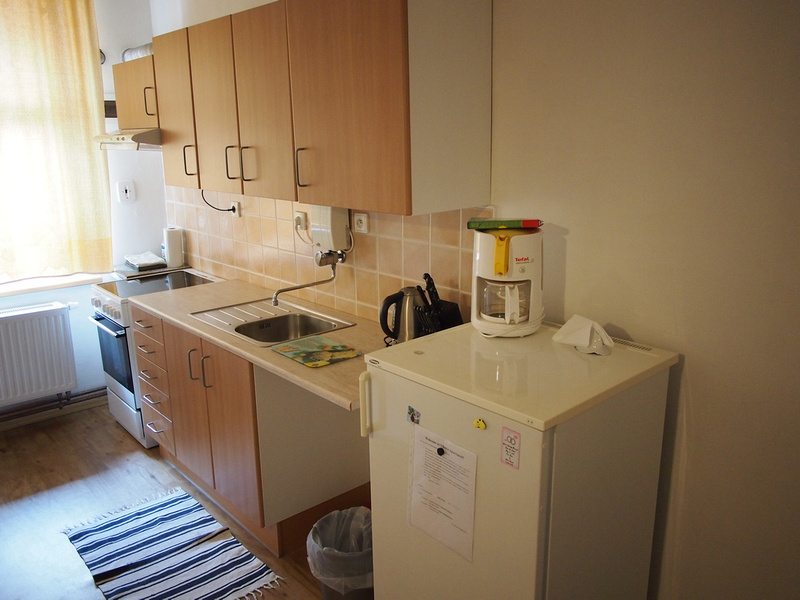 The first place I stayed at was in central Prague. 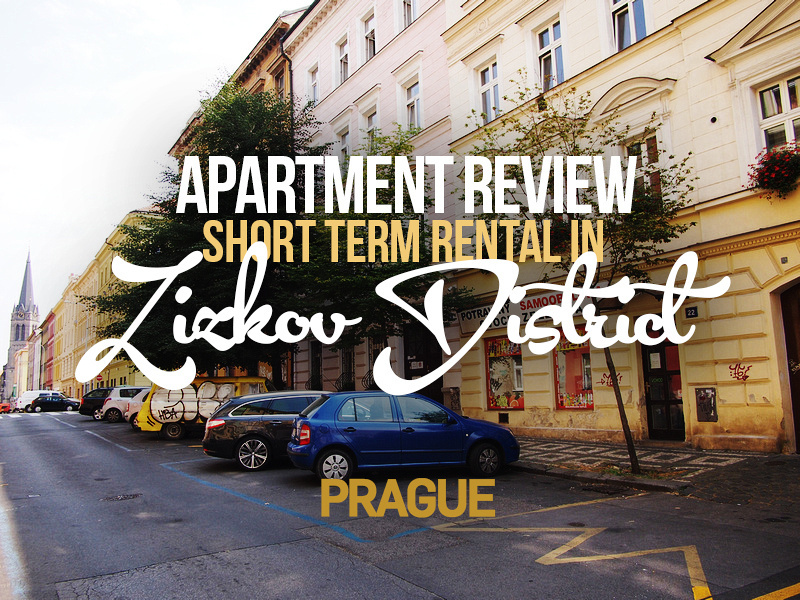 This apartment was in the Zizkov neighbourhood, which is up a hill behind the main train station. I had never been to this part of Prague before (probably because it is behind the station) but I’m glad I did this time. Zizkov is a neighbourhood lots of old world charm, without the tourist crowds that the historic old town gets. It took me about 15 minutes to walk here from the main station, much of it uphill. The apartment is in an old apartment block on the top floor. The landlady lives next door in a separate apartment so there was no drama in getting the key. The apartment featured a bedroom with lounge area, separate kitchen and dining area, bathroom, and a hallway. The rate for this worked out around $35USD per night. I bought breakfast supplies for the kitchen but as usual I didn’t disturb the stove. 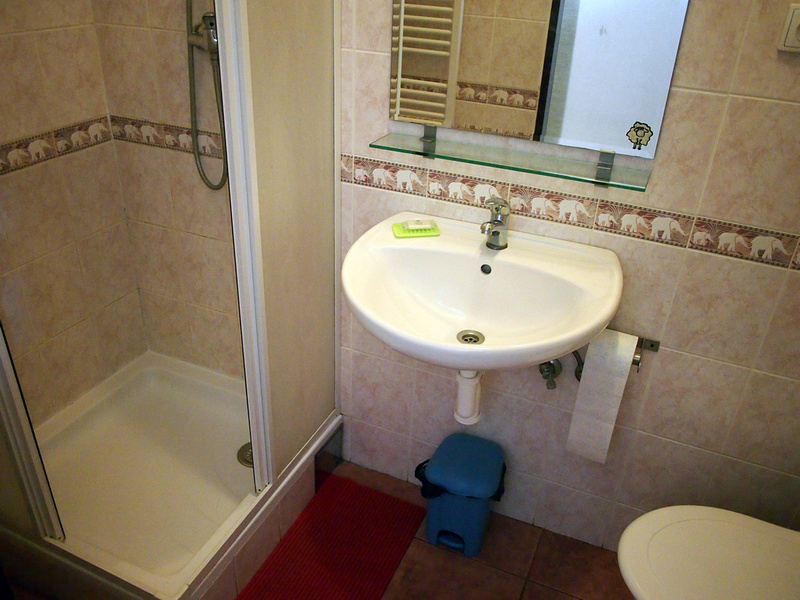 Toilet and shower was clean and respectable. 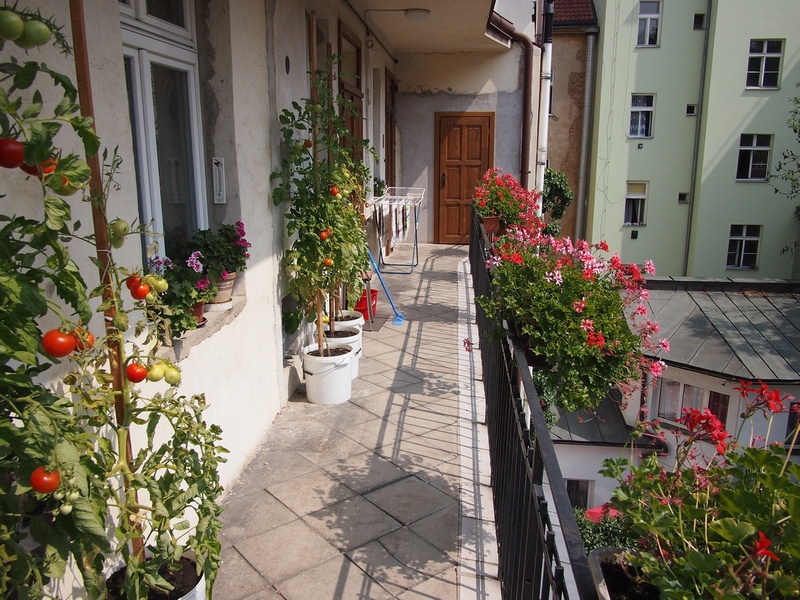 I loved the balcony where the landlady tended to a little garden. The landlady was friendly and welcoming to me. She provided maps of Prague and borrowed a new copy of Rick Steves Prague. She also brought over a freshly-baked cake and some of her tomatoes. She also offers a laundry service at €2 per wash. Overall I enjoyed my stay in this apartment and getting to explore a neighourhood of Prague I might not have visited otherwise. You can book the apartment here. If you would still rather stay in a hotel search for more hotels in Prague.